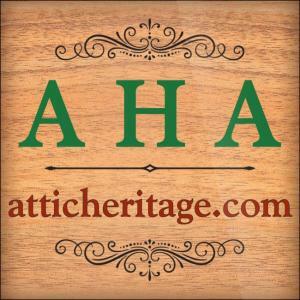 ATTIC HERITAGE AUCTIONS (AHA) is an on-line store dealing in vintage postcards, photographs and ephemera. We regularly buy and sell and will consider all opportunities to acquire collections. We were inspired to start our store when clearing our attic several years ago. We had so much yet could not justify keeping it boxed for more decades. We've collected postcards for over 60 years so we have tens of thousands to sell.